Among North Carolina counties, Wilson regularly ranks in the top-10 of workers who enjoy the highest average weekly wages. We're a geographic nexus that makes Wilson one of the most accessible communities for employees anywhere. Companies here offer an abundance of career opportunities for all skill-levels, in industries as diverse as manufacturing, agribusiness, banking, and pharmaceuticals. We've got innovative education and training programs, all designed to meet the needs of employers. Yet, despite all this, we still have hundreds of jobs that we need to fill in Wilson. Beginning in 2019, the Chamber hopes to help bridge this divide by publishing The Wilson 100: the 100+ Fastest Growing, Most In-demand Careers In Wilson. This digital career catalog will inventory what career pathways exist in our community, and how job-seekers and students can compete for them. Here's what a sample listing might look like. We'll compile at least 100 of the best opportunities, and distribute the catalog widely across the community. Our thought is, the better informed our community is, the more our businesses will prosper. If you're an employer in Wilson, and you want to be included in the next edition of The Wilson 100, complete the form below. 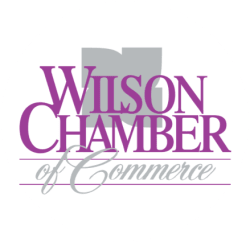 Inclusion in The Wilson 100 is FREE for Chamber Champions, $200 per year for all other members of the Chamber, and $500 for all other businesses. Once completed, we'll contact you about next steps towards publication.